Long time no recipes! I've been having quite a lot of cheat meals over the holidays (and by this, I mean whole December-January period), but since the beginning of this month I finally got back on track with my food habits and now ready to share with you more of my favorite healthy meals. 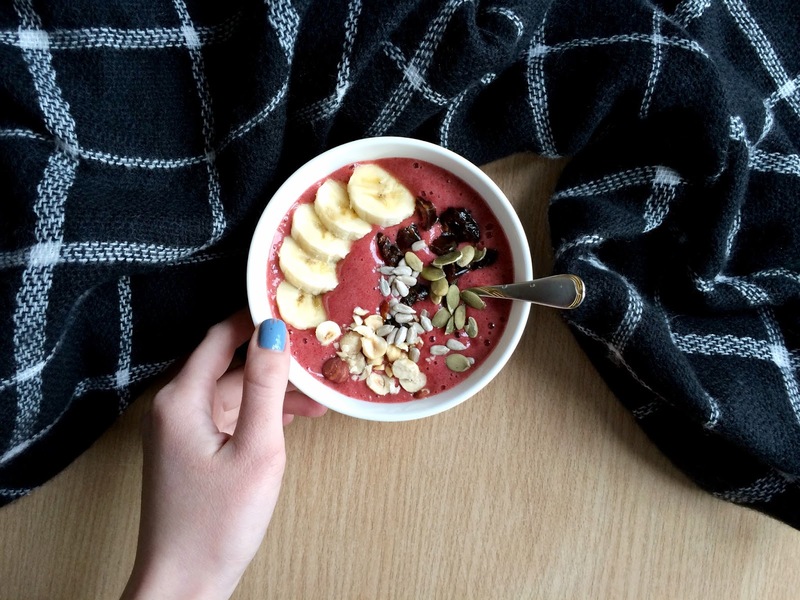 If you follow me on instagram or Snapchat(alinaermilova), you've probably seen me posting pics of my breakfast meals, one of which is a smoothie bowl. I swear to you, it's the best thing ever! This particular one only takes 2 main ingredients and about 10 minutes to make. 1. Use frozen berries! They're much cheaper and create a better consistency. 2. Add just a bit of water, otherwise the smoothie would be too watery (brr). 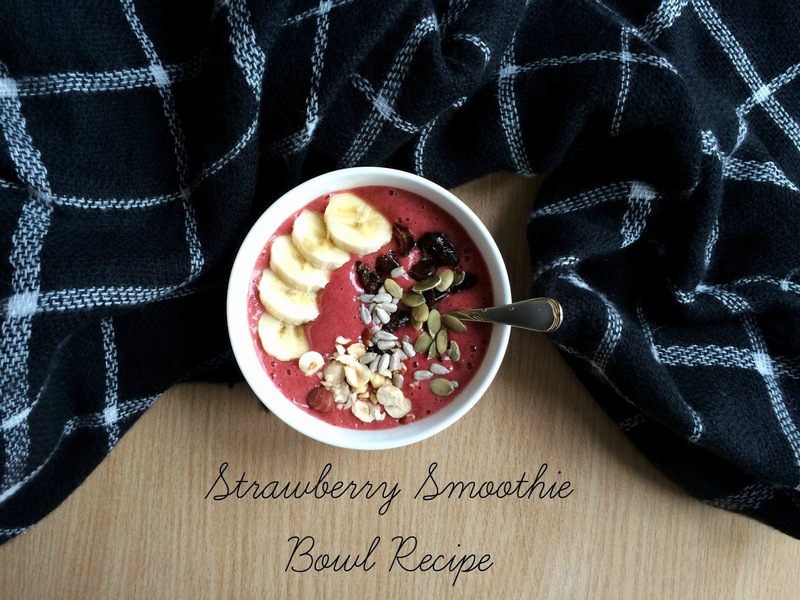 The whole difference between a smoothie and a smoothie bowl is in the consistency! 3. It's all about the toppings, add as much as you'd like. 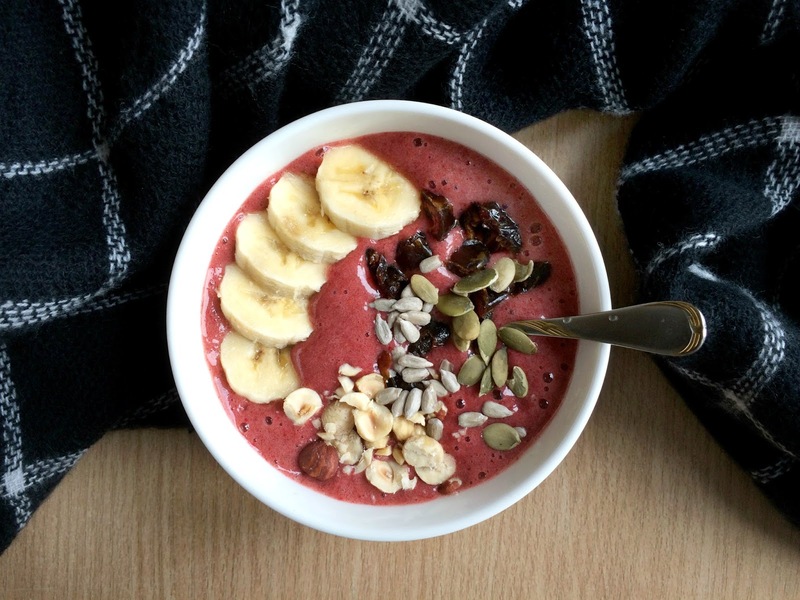 Go crazy with nuts, berries, dried fruits, seeds! 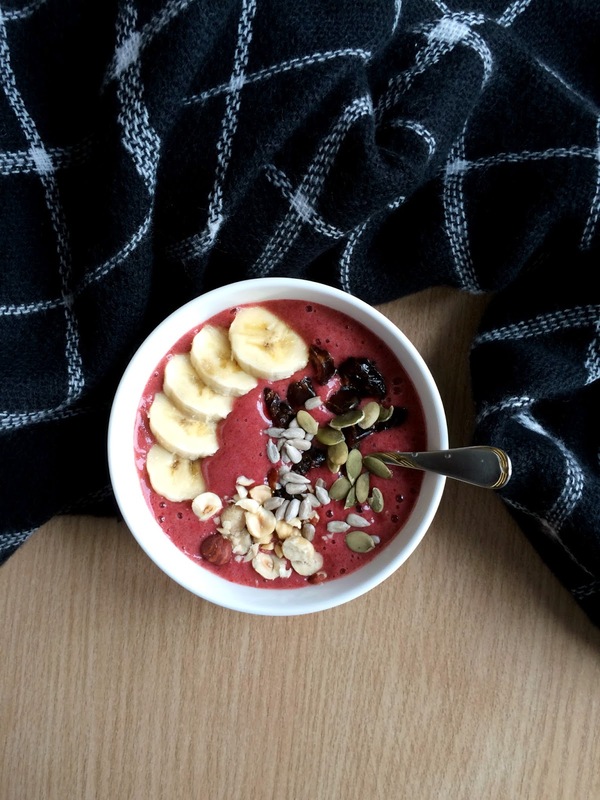 What do you think about smoothie bowls? Would love to know your favorite combos!